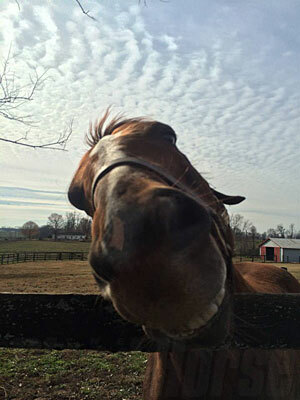 It's NEVER too cold to go see my boys Arson Squad and Amazombie! Actually, the visit is my first time being able to meet Amazombie face to face, let alone interact with him! 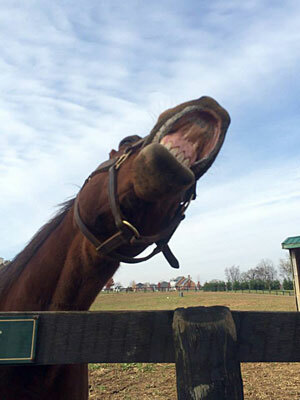 Several years ago Amazombie was winning Allowance or Optional Claiming races, which is when I ran across his name. With a name as cool as Amazombie I thought, "I have to follow him." 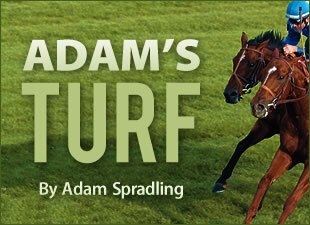 Then behold, his consistency allowed him to move up the fields of talent and I was able to cheer my guts out, losing my voice in the process, while watching him win the Breeders' Cup Sprint at Churchill Downs. There may also be a true story about the only reason I went to the 2012 Kentucky Derby was to see Amazombie face Shackleford in the 2012 Churchill Downs Stakes. 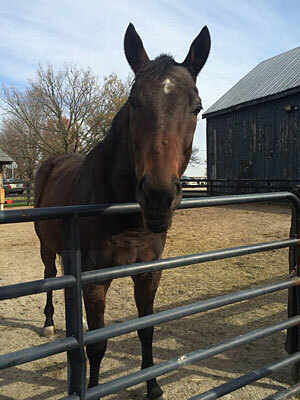 All that said about 'zombie' I have been a sponsor of Arson Squad pretty much since he arrived at Old Friends Farm. Arson Squad was one of the first horses I fell in love with when I started working in the industry in 2007. Again, I ran across his name and thought "How could I not follow this horse?" Arson's record and winnings screams succes, but just the opportunity to run in the Dubai World Cup, awesome. Throw in the heart and toughness in his fight for recovery after a terrible accident, and the story of Samantha Siegel, an owner who feels like she owes him the world...inspiring. On top of my preferrential treatment towards the 'A Team', I never get tired of seeing other favorites such as, Commentator, Fabulous Strike, Sarava, Gulch, and of course Ogygian! 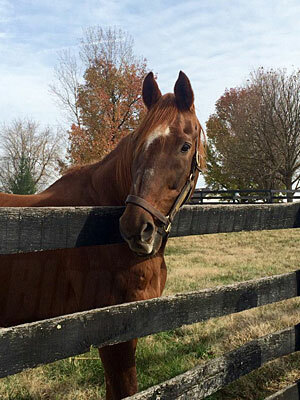 Though it was pretty cool to finally meet Game On Dude, he is definitely enjoying himself here in Kentucky. 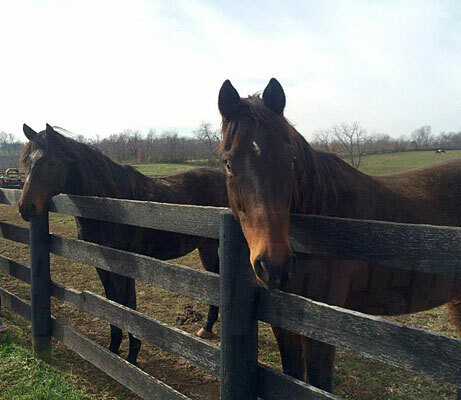 Other horses I met for the first time were Eldaafer, Rapid Redux, and most impressively Tinner's Way. Tinners Way will be the closest I will ever get to meeting Secretariat, so that was cool and also my wife's top highlight of the day. SILVER CHARM will be arriving at Old Friends in December and Beth suggested calling at the end of January to see if he is recieving visitors yet. Around that time he should be out of quarentine and all of the standard protocols finished! A special thank you to Beth and the Old Friends crew, who are always top notch, for braving the cold with us! Arson Squad and I'm Charismatic. 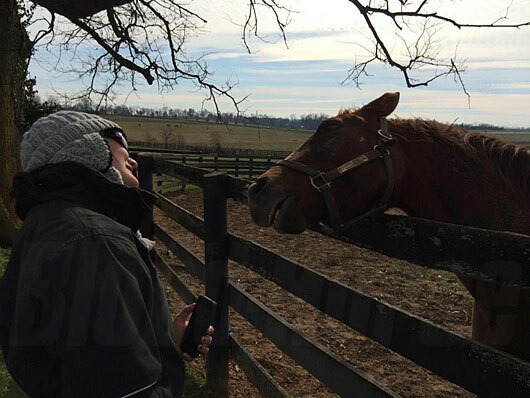 Rapid Redux having a conversation with Amazombie on carrott priorities. 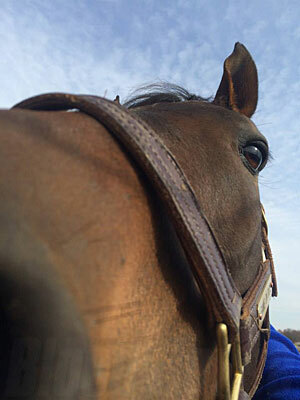 Game On Dude checking out the camera. 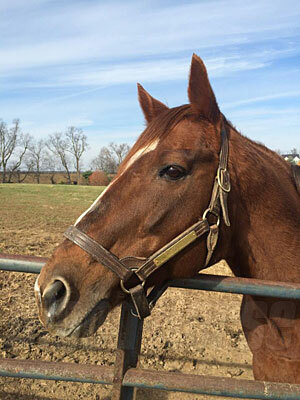 Creator at Old Friends Farm Kentucky. 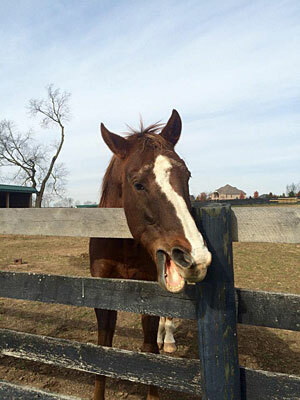 Flick at Old Friends Kentucky. Who is mocking who here Rapid Redux? Oh, I see now Rapid Redux. 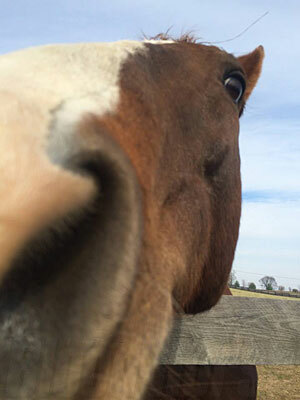 Danthebluegrassman says, "but first let me take a selfie." I guess 'Dan' wasn't thrilled with the photo. Special Ring wants attention too, as he has to share the paddock with "Seabiscuit." Thus he shows off his tattoo. 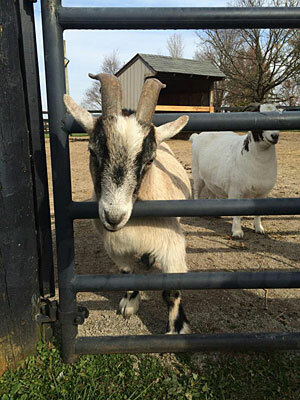 Eldaafer standing tall at Old Friends Farm. Eldaafers' lean, mean paddock crew...okay, maybe not so lean. Meet Google and Yahoo. They only butted heads once while we were there. 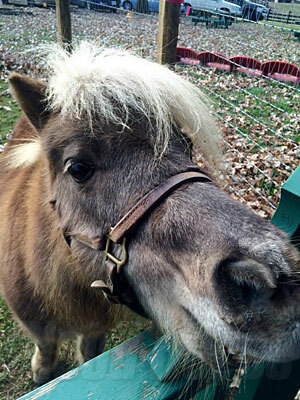 THE Little Silver Charm, "I run this place." Please excuse my mug in the rest of the images, these are from my Instagram account. 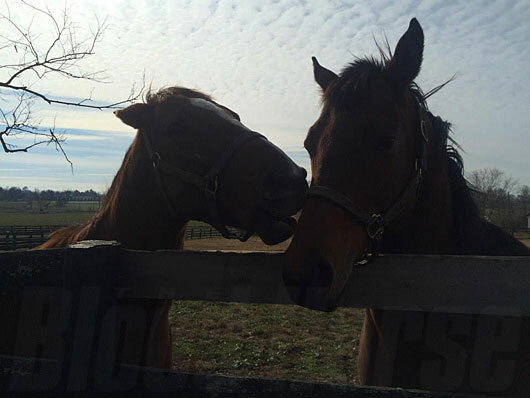 My boy Arson Squad discussing our hair issues at Old Friends Farm in Lexington, Kentucky. Amazombie and I at Old Friends. It's never too cold to see 'the zombie'! Commentator, the legend and the myth himself. Seabiscuit! Or at least in one of his movie roles. This is Popcorn Deelights with his hair to the wind. 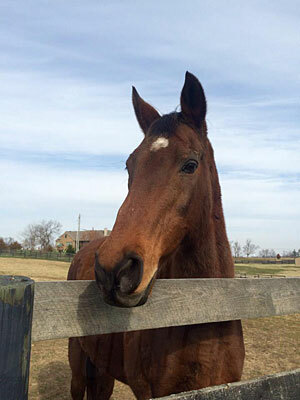 No, it isn't Secretariat, but it IS Tinners Way, his very talented last son born.